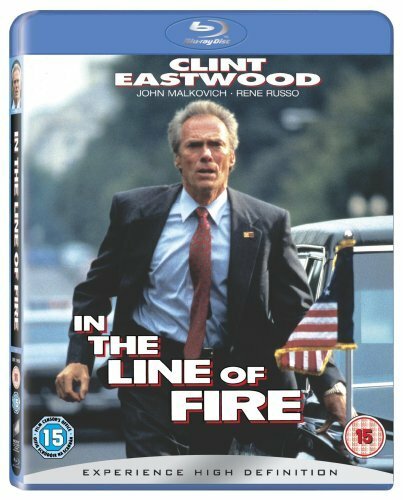 In The Line of Fire (1993) | 'TAIN'T THE MEAT… IT'S THE HUMANITY! I always tend to group this film together with Unforgiven, not just because they were released at roughly the same time (Unforgiven came out a few months earlier) and not just because both films helped revive Clint Eastwood’s flagging career (anyone remember Pink Cadillac or The Rookie?). I think it’s because both films share a common theme: a character with a haunted past shaped by violence is given a chance for redemption. Unforgiven is concerned with a dealer of violence while In The Line of Fire deals with the victim of a violent event. Frank Horrigan (Eastwood) is a US Secret Service agent haunted by the assassination of President Kennedy, an event he failed to stop. He blames himself for the death of the man he’d sworn to protect and believes the break up of his marriage, and his subsequent alcoholism, to be a direct result of him ‘not taking the bullet’. Now, 30 years later, he has the chance to redeem that past mistake when the current President’s life is threatened by another assassin, portrayed by John Malkovich at his reptilian best. 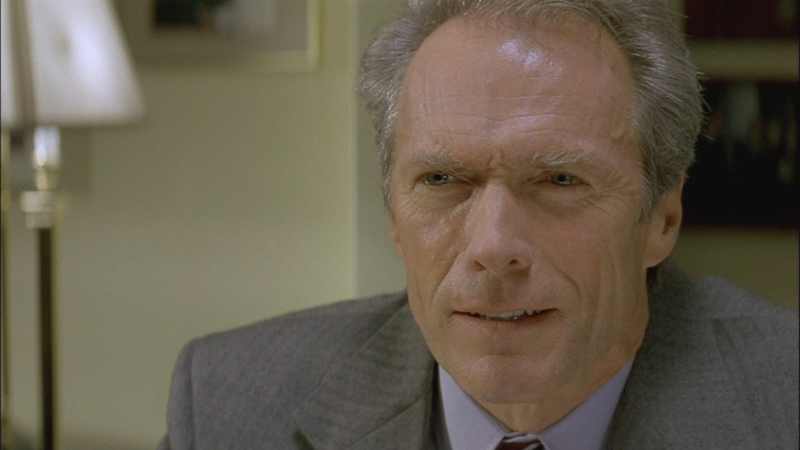 Eastwood is also on form, imbuing Horrigan with a gruff likability that is at times reminiscent of his Harry Callaghan/Dirty Harry character. The film rattles along at a brisk pace, ably and cooly directed by Wolfgang Petersen (Das Boot, Air Force One) who keeps the action flowing but still takes time to flesh out both Eastwood’s and Malkovich’s characters. All-in-all it’s a very decent thriller.